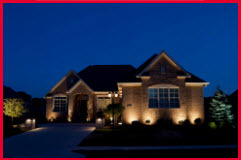 As local, family owned and operated electrical contractors based in Fontana California for over 50 years, Howell Electric boasts a strong reputation for customer service, professionalism and quality craftsmanship. 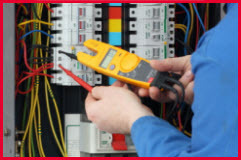 Our electricians are licensed and bonded, specializing in both residential and commercial electrical work. We have fully equipped trucks with thousands of parts to take care of any electrical need you may have. In addition to our regular business hours, we are also available 24/7 in the event of an emergency. Whether you need help with the seemingly simple installation of a ceiling fan or the entire wiring of a new home or business, Howell Electric has the experience and knowledge to complete any job in a timely manner. Howell Electric works with general contractors, property managers and home and business owners alike for on time, stress free electrical work at competitive prices. Contact us to discuss your next electrical or lighting project. 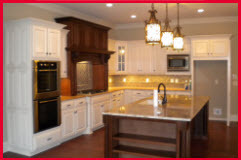 In the residential area, we have vast experience with design, layout, service upgrades and fixture installs. Our prices are extremely competitive and we are happy to work with you on budgeting all of your electrical home improvement projects. We offer the custom design you have always wanted. Howell Electric boasts experience in the commercial arena with the ability to work in everything from smaller retail storefronts to larger industrial spaces. We have extensive experience with retail space lighting and tenant build outs. We work hard with our suppliers to keep up to date on the latest offerings of energy efficient products and installations and we incorporate this knowledge into all of our commercial projects in an effort to save you time and money. 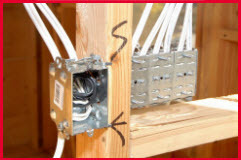 "I like that the residential electricians explain their work so that I know what's done. I will call them again in the future and would definitely recommend them to others needing an emergency electrician (or not so urgent electrical service) of any kind."